We may still be in the midst of pumpkin spice latte season, but that doesn’t mean we can’t start planning for the winter holidays! Whether you’re a decorating wiz wanting to deck the halls or a shopper looking to find special and unique gifts for loved ones, Calgary has a host of wonderful markets to help you get ready for the busy winter months ahead. Taking place from November 15th to 18th, The Art Market Art and Craft Sale is a four-day showcase of artisanal crafts and art. Over 200 professional artists will be showcasing their work in a vast market exhibition where you’ll find, among other things, gourmet chocolate bark, botanical skin and body care, and handmade sterling silver jewelry. The Art Market Art and Craft Sale offers the ultimate boutique shopping experience. There’s a need to go to the North Pole with the beautiful scene of lights and decorations at the Spruce Meadows International Christmas Market. This equestrian facility is transformed into a magical winter wonderland for their annual Christmas market, happening over four weekends from November 16th to December 2nd. This festive setting offers the perfect place to get some holiday shopping done, with over 300 vendors selling specialty food items, ornate decorations and homewares inspired by both local and international cultures. Be sure to make it a stop on your Christmas shopping journey! The Authentically Indigenous Craft Show is a wonderful place for a holiday-themed family outing. In addition to the selection of beautiful, hand-made goods you’ll find, this craft show also features a KidZone where your young ones can decorate an ornament to take home. There will also be a very special visit from the man, the myth, the legend – Santa Claus himself! After getting into the holiday spirit at all of these festive activities, you’re going to want somewhere cozy to spend the night. 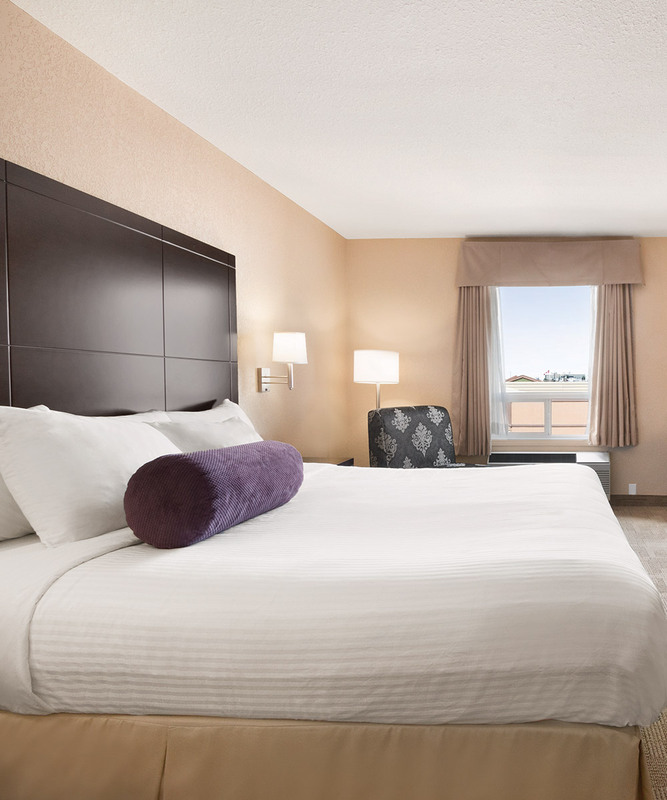 Our well-serviced rooms and comfortable beds offer visitors the perfect place to tuck in. Book your stay with us today. It’s time for The Big Taste! Spend Canada Day in Calgary!